There’s three things in life that share an unambiguous constant: children, great shows on the Fox Network and time. The constant is that none of these three will hold still for a more than a few seconds. Children won’t stay still, good shows will get cancelled on Fox and time simply won’t stay still for even a second. So we learn to adapt and grow. This week we’ve seen a cricket great play his last. We read about the fickle nature of love and heartbreak. We read of the latest ways to read because books are so yesterday. So we move. Physical Attributes: Bulging waist, short, messy hair. Bags under eyes suggest nights spent sleepless watching the latest heavyweight match-up. Stubby fingers that are used to long hours of typing. Glasses. Thigh muscles totally inadequate for sprinting more than 100 meters. Spits often, and occasionally foams from the mouth when talking about favourite club. Loves: His club. Banana in the half-time. Talking about offside rules to n00bs. People who love the same club as himself. 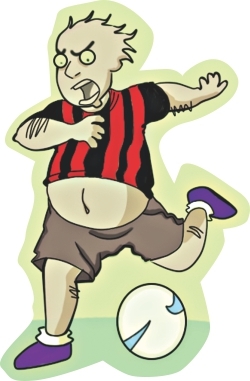 People who agree with him on the penalty and the unfairness of the referee. The admiring glances of the mass. Calling people “idiots”, “poo-brained” and comparing their faces to various inanimate objects. Hates: All the other clubs. Smart people who can make logical arguments. People who support a club without knowing about their history. The referee. Favourite Season: The transfer season. He reads the tabloids and various shady websites for news of upcoming transfers. It is during this season when his valuable observations about Hazard's passing skills and whether Neymar can accustom himself to the roughness of the EPL are actually acknowledged by a few people. Favourite Pastime: Playing the latest instalments of the FIFA franchise from EA Sports. He claims there are many new and awesome functions in the latest version that weren't in the previous, but when he is asked to list them, he repeats last year's. He likes trolling on Facebook and typing out all the replies with his greasy fingers explaining why 4-3-3 is the best formation and Mark Webb is the worst referee ever. Proudest Moment: When one of his nine-hundred and twenty-seven transfer predictions came true. He sported a smug grin for 5 weeks and refused to elaborate on his various musings on team combination and strategies. He also loves it when his comment on Torres and Chelsea attracts seven “likes” on a Facebook comment thread. He fainted several times in ecstasy when a newspaper report happened to agree with him on a few points. Or even matched a few words. On the Net: Ruthless demolisher of the Wrong Grammar. Mighty warrior of the Battlefield Facebook. Suppressor of Falsehood. The Leader of the Revolution against the Referee. Off the Net: Obnoxious. Loud. Wants people to convert to his club. Accuses the new converts of jumping on the bandwagon. Favourite Words: “Awesome”, “Offside”, “Penalty”. Knowledge of Football: Extensive. He knows which player is the leading scorer of the league. He can tell you which team had the higher possession but still lost one game back in 1938. He regularly goes through the articles in Goal.com and ESPN. He can also recite the player stats from FIFA 13 (he will complain about some player's deficiency in Heading even though he is such an accomplished header in real life). Ah. What a cricketer he has been! One of the greatest batsmen (ever) and counted among the best fielders inside the 30 yards, he is also one of the most dominating captains of all time. He took the mantle of greatness from Steve Waugh and raised the Aussies to the pinnacle of success. But these are all statistics people looked up as he played his last Test against South Africa. Today we will talk about his pull shot. Delightful things those are. Pulls and Hooks are regarded as the most dangerous (physically) of the strokes. There's the horrifying prospect of missing the ball and getting hit in the face. But Ponting made it look easy. His high back-lift, the shift of weight on his legs as he quickly went to backfoot, the steady head with eyes on the ball and the masterful execution of the stroke: there have been only a few occasions when he failed or got out. I remember his wonderful innings of 145 in the 2003 World Cup Final against India. He might have hit 15 other boundaries (and over boundaries) but those pulls and hooks of his were the highlights. Say one thing about Ricky Ponting, say he is a great puller. 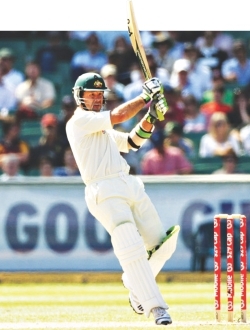 Ponting is hailed as the best batsman for Australia since Sir Don Bradman. Quite rightfully so. In fact his influence on Australian culture is so remarkable that the Parliament Members stopped their regular bickering over scandals (these happen to other countries too, you know) when they heard of his retirement and held a momentary truce (yeah, that doesn't happen here) to pay tribute to his career. This is it, folks. This is the end of an era. Ricky Ponting will finish with the most tests (tied with Steve Waugh), most runs, most centuries for Australia and the second most number of catches in Test cricket history. A salute to this great cricketer. Speeches, rants, heartbreaks, losses, demands. We hear it all. Some we ignore, some we answer, and some are here. Taiseer Ahsan What? Dr.Who isn't enough? Thanks for the review of Halo 4. But where's Call of Duty Black Ops 2? Nish TabzI plead to thee, please review Hitman Absolution. A 3/10 rating is too much to bear! Now I've lost all faith in Wikipedia! Junaid Alam Please review GTA 5 in Rising Stars. 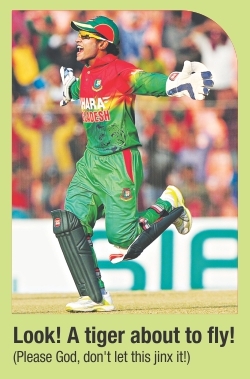 Bareesh Hasan Chowdhury We can do one game review a week. Give it time. Why did The Kopite miss out Breaking Benjamin's "Blow Me Away" as Halo's soundtrack? Ahmad Ibrahim Not a big fan of them. This other friend asked me the same thing. It just didn't appeal to me as much as the others on that list.